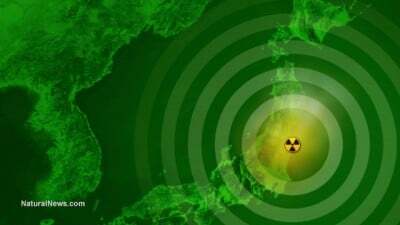 Nuclear power is a uniquely hazardous technology that can destroy entire nations, Japan’s prime minister Naoto Kan at the time of the Fukushima nuclear disaster has warned British MPs. The lessons of from such catastrophes must be heeded in other countries that believe that nuclear fission can be harnessed safely, writes Linda Pentz Gunter – or they, and the world, will reap the whirlwind. One quarter of the country’s population would have had to flee if all the fuel had escaped at Fukushima. We came that close. If 50 million people had had to evacuate Japan, as a state our very survival would have been questioned. Naoto Kan, as prime minister of Japan, responding to the Fukushima nuclear catastrophe on live television, 14th August 2013. Image: NNK World TC via Youtube. I was shown this map with a 250km radius around Fukushima. An area home to 50 million people. One quarter of the country’s population would have had to flee if all the fuel had escaped at Fukushima. We came that close. If 50 million people had had to evacuate Japan, as a state our very survival would have been questioned. Renouncing nuclear, then, is the ultimate act of patriotism. Love of country (or “cournty”as the typo-loving Ted Cruz campaign would say) should mean making decisions that protect it, not letting it turn into a radioactive wasteland. One willing client is the UK which is looking to build a Japanese Hitachi reactor at its Wylfa site in Wales. Never mind that the country’s flagship two-reactor EDF project at Hinkley Chas turned into the worst kind of French farce with costs currently estimated at $36 billion and rising.